Sean Hartig of New Orleans, LA asks: When using a forward press for the driver should the face be slightly open or hooded? Thank you. Kim Brown: I really don’t like a press that alters the clubface position from being square, unless when you press the club moves to a “square” position. Ken Park of Germantown, MD writes: During my round, if I mess up on one hole, it seems to make the rest of the round go south and I forget everything I was doing right and just think about that one hole. I know I shouldn’t think about the score, but can’t seem to get it out of my head. Can you advise? Kim Brown: Scoring in golf is a reality based situation. I understand what you are saying because we all go through it. The reality of a “bad hole” is that you will still eat that day, your family is still there for you, and you won’t lose your job over it. ACCEPT the hole, and focus on your round one shot at a time and try to enjoy it for the value and the challenge of each shot. Use the bad score on a hole as a motivation and don’t FORCE the result of your score. ONE SHOT AT A TIME! Ken in Germantown, MD writes: My handicap is 10 and I’ve been playing golf for almost 10 years and I thought I was feeling comfortable with my game until recently. My question/problem is, I practice about 2-4 times a week at the range and during my practice, I feel very comfortable with my swing and the way I’m hitting the ball, however, when I get on the course, I feel like I forgot everything I’ve practiced and end up struggling through the round ending up with nothing but high score and frustrations. What can I do to bring over what I’ve practiced to the course? Kim Brown: We ALL tend to struggle with that same problem of bringing our swing to the golf course. I think it is a matter of developing a clear understanding of the objectives of practice. One goal is to develop technique and I think of those mechanical practice sessions as just that. I also like to think of and implement into my practice sessions what I call “playing thoughts”. These usually consist of one or two alignment keys and one major fundamental swing thought such as “swing to the finish” or “even speed back and through” , etc. The purpose of practice is to first of all develop a technique that is fundamentally sound and we may have to take a chance at getting “paralysis by analysis” sometimes when we try to improve. BUT, I always try to narrow my focus down to what a good swing “feels” like and in order to trigger that move I try to have one main key thought that triggers that “feel” during a particular round. Try to develop three different swing “keys” that work on the golf course for you and on a day where you are going to play, experiment by hitting a few balls before your round to see which “key” you will go to that day. Another thing you can do is to “visualize” shots on the course when you hit balls on the range. At Keeton Park for example, I picture having to hit a slight fade around the dogleg on hole #1 while I am hitting drivers on the range. Good luck. Larry Libman of Montreal, Quebec, Canada writes: I am a 10 handicap golfer and normally have no problem putting. For the past few weeks, I find on putts of about 10 to 6 feet have been pushing them right. On ocassion, on very short putts of about 3 feet I have a tendency to pull them so that they start straight but curve sharp left at the hole. Kim Brown: Larry, it sounds like your putter is moving on an “inside” path too much on the backswing. On the 6-10 footers, your putter moves to the inside on the way back but then comes back through the ball with an open clubface and is most likely “decelerating” or slowing down. On the 3 footers, the only path that could produce that shot is an inside path on the backswing and then because you hold the club face closed and your hands “get active” you create a “hook” spin. In this case the putter is moving from inside to inside. ON the pushed putts, it is moving from inside back to the inside. I would suggest practicing in something similar to the Pelz “putting tracks” or even by laying two clubs down and stroking between the two clubs. Note that the path should be back and through parallel to the feet and the putter face should stay square as long as possible. If this does not help, please e-mail us again! Sean Carolan of Poughkeepsie, NY asks: I am curious as to the advantages of “gravity” golf. Can you explain the differences between this particular swing and the conventional straight-arm most of us are used to? Thanks. Scott Robbins: Thanks for your inquiry. I am not real familiar with the details of “Gravity Golf” however I do know that one of the main components or principles of the method is a very long and wide arc in the swing. That is a basic principle of any golf swing. There are basic ball flight laws that happen and are evident in every golf shot you hit. Every shot has 1) clubhead speed; 2) how close to the center of the clubhead impact is; 3) angle of the face at impact; 4) path of the club coming into impact and 5) the angle of attack the club is moving on coming into impact. There are two main principles that influence all 5 of these laws. The Swing Arc or how big a circle you can make the clubhead move on and the Swing Plane or the angle upon which this arc swings towards the ball. They are both determined by your physical size and the club you are using. 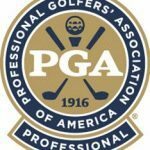 Find the closest PGA Professional to you and have him/her help you find the simplest, easiest and most efficient way for you to produce the widest arc that swings on plane and works best you. Larry in Atlanta, GA writes: I am having difficulty getting good distance off the driving tee. I frequently get 220 yds. What could you recommend I do to get more distance? 2) Don’t “reach” for more backswing, but do insure that you take a full shoulder turn. 4) Swing to a full finish position and hold the finish when you practice. Look to see if your weight is on the left side with belt buckle pointing to target. 5) Check your alignment in the pre shot – are your shoulders pointed to the left of the target (open) significantly? If so, try to rotate your upper body to the right at address (close your shoulders). This promotes a better path and a better shoulder turn. 6) Check to see if your weight is on the right side at the top of your backswing. Greg Moore in Big Spring, TX asks: I have been playing golf for 12 years I have improved considerably, but I am still having hard time lining up the ball on my second shot. Do you have any suggestions on how to line the ball up properly? Kim Brown: The best way to line up on the golf course is to pick out an intermediate target or a spot on the ground three to 5 feet in front between the ball and the intended target line. Then try to “picture” railroad tracks running out over that spot on to the target. Stand along the inside rail (face the rail directly) and swing along the outside rail with the clubface pointing at that intermediate target. When you practice on the range, practice with alignment cues like two clubs lying on the ground, etc. to get used to what proper alignment looks like visually to you.. Alignment is partially visual and partially habit. Good luck. Andy Clements of San Antonio, TX writes: I have not been making enough putts, and I believe it is because I am not accelerating the putter through the ball. I am a pretty good lag putter, but I don’t make many outside of 6 feet. I know I am not “popping” the ball like I used to, and it makes a different dull sound when it comes off the putterhead. Any tips to regain the acceleration? Kim Brown: Practice putting from about two feet by placing the putter head directly against the ball and raking it into the hole without any backswing. This will promote acceleration through the ball. Joe Spivens of Cincinnati, OH asks: My natural shot is a slight fade off the tee. I usually use a 3-wood to maintain control. I have recently tried using my driver again. I still tend to fade but I’m now beginning to draw and hook the ball also. I just never know what shot is going to come off the club, therefore I have lost confidence in my tee shots. What can I do to stay with a consistent shot pattern? Or how do I learn to work the ball to hit a draw or fade when I need to? Kim Brown: It sounds as though your shoulders “may” be open or pointed to the left at address. When you make an unforced swing, the path of the club will follow the shoulders and travel to the left of the target line on the downswing causing your natural fade. Generally, we learn to hold the club open at impact (block) our shots when the path naturally goes to the left of the target line. Obviously, if our swing path was down the target line or to the right of the target line, then we learn to “release” in order to get the ball to go straight or even draw from right to left. ON the shots where all of a sudden you are hitting a HOOK, then you are probably releasing the club (forearm rotation where the right arm crosses over the left arm) AND your swing path is to the left of the target line. To determine in advance where your shots are going to go, you need to be aware of your swing path and where your clubface is pointing at impact. You could try to close your shoulders, but if your natural shot is a fade and you like that shot then you should make sure you do not overwork your hands and arms on the downswing. Carefully check your alignment by laying clubs on the ground and then check to see (might need help from a PGA pro for this one) where your shoulders and hips are aligned. I guarantee a “set up” inconsistency has a lot to do with your problems. Good luck. “I have trouble playing into the gusty winds of Oklahoma. What should I do besides playing an extra club? 4) Practice those shots, as most of us seldom practice those. People that have trouble hitting those shots do so usually because their club face opens too quickly on the backswing and very often this occurs because their “hands” are too active. Practice taking the club away with mostly your upper body and keeping your hands quiet on the club. Keeping the clubface square during the first 2 or 3 feet of the backswing may cause you to hit the ball off line at first, but will keep the trajectory down lower. Experiment with this some. I am a senior golfer with about a 15 handicap. I can hit the ball pretty well, except for my driver, which I often pop up or hit low hooks. What should I do differently with my swing, or should I consider a new driver. I have a Taylor Made Driver with 9.5 degree loft and graphite shaft. Should I get one with more loft? Kim Brown: Let me touch on the equipment issue first. Is your Taylor made driver one of the traditional sized clubs or is it one of the mid size or oversize models? Although I tend to think the shot pattern you are experiencing can be resolved through setup or swing changes, sometimes an oversize driver can reduce the “pop ups”. I am pretty sure a “Great Big Bertha” or something similar would take care of the pop up shot. However, if your two “choices” are a pop up or a pull hook then that would suggest that your clubhead path is traveling to the left of the target line at impact pretty regularly. If we have a club that we do not have much confidence in, we tend to manipulate the swing with our hands more which will force the club across the target line more than with the other clubs. 3) Improper or not enough shoulder turn on the backswing which prevents us from getting the weight onto the right side. Thus, we end up “moving ahead” of the ball laterally on the downswing and having to overswing the hands on the downswing. 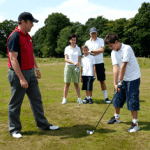 1) Take several practice swings not worrying about hitting the ball, simply think “swing to the finish” position and hold that position for a 3 count…..then hit a few balls with the goal of swinging to that same finish position ONLY. 2) Place a tee on the ground about 2 feet ahead of the practice ball on the target line. Think about swinging through towards that tee. Hold the finish position. 3) Experiment with oversize drivers. 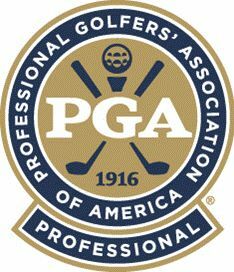 Make sure to get advice from a PGA Professional in regard to the appropriate specifications, ie shaft flex, loft, etc.